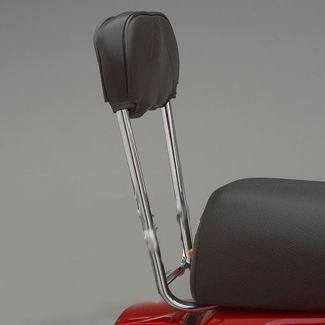 You will need this longer seat post to install many Cuppini, Faco, and all other rear accessory racks. The threaded portion is 8mm x 1.25mm and 40mm in length. The total length from tip to tip is 71mm. Fits on any P-PX-Stella. With modifications, this seat post will work on Pre P-Series Vintage Vespas that use the 7mm seat post.